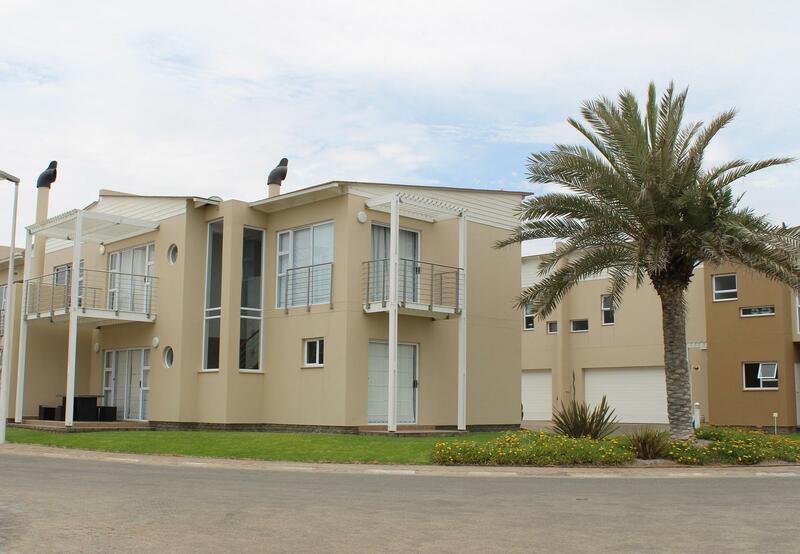 F1 Waterfront Estate is a stylish two-bedroom Waterfront Estate apartment located in Namibia's holiday town of Swakopmund. 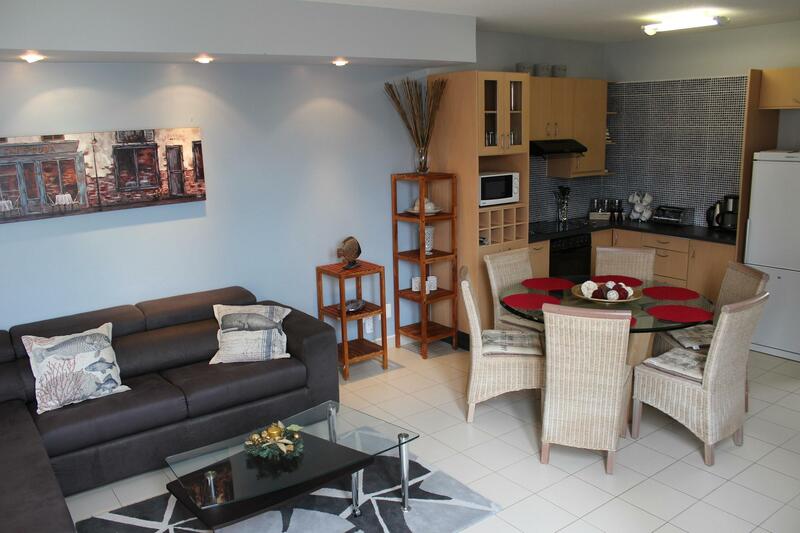 A mere 100 m or 60-second walk from the beach, the apartment offers great comfort and style, as well as a lovely private garden patio and lawn to relax outside. 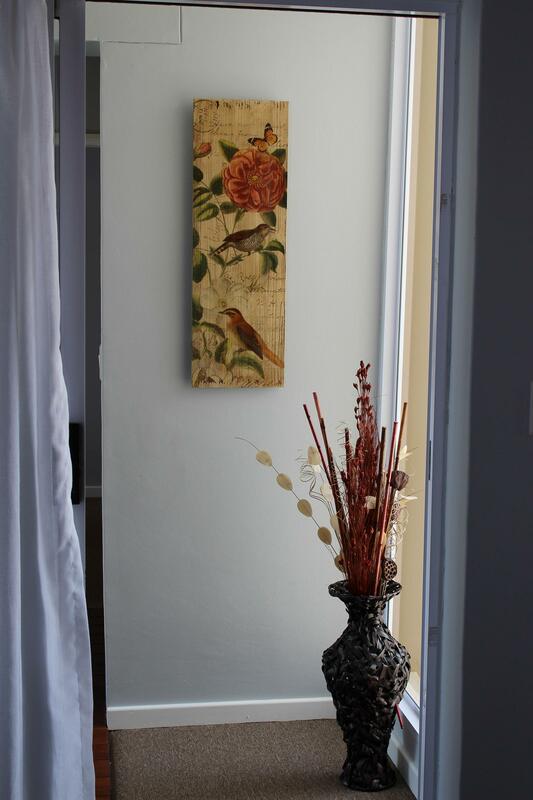 Both en-suite rooms have private balconies from where you can hear the ocean rumble. 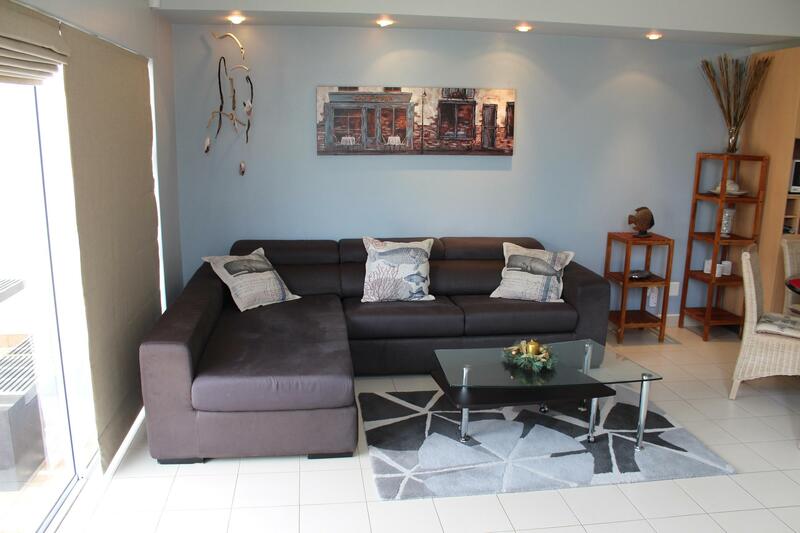 The unit also features a single garage, alarm system, and 24-hour complex security. 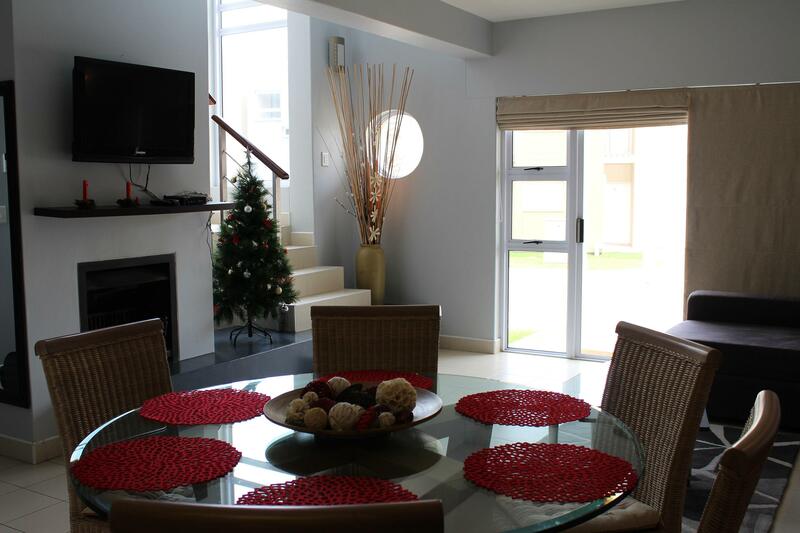 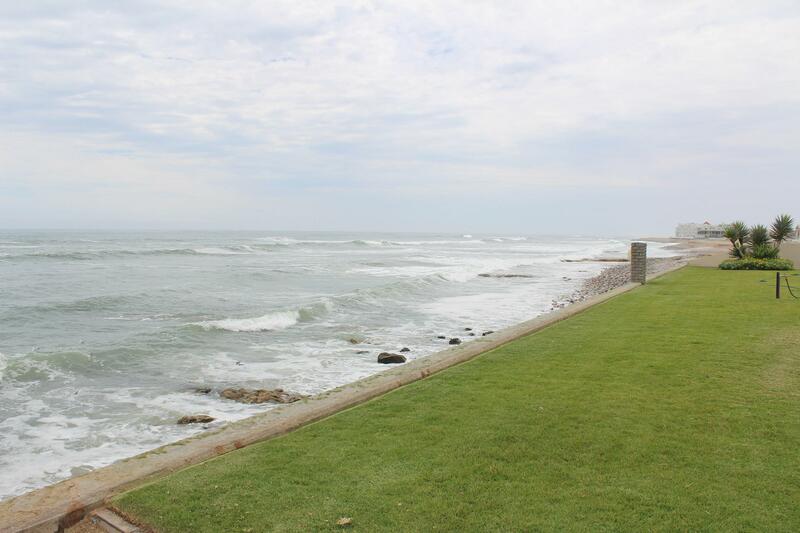 The unit is located in the third row from the ocean front, with very easy access to the beach. 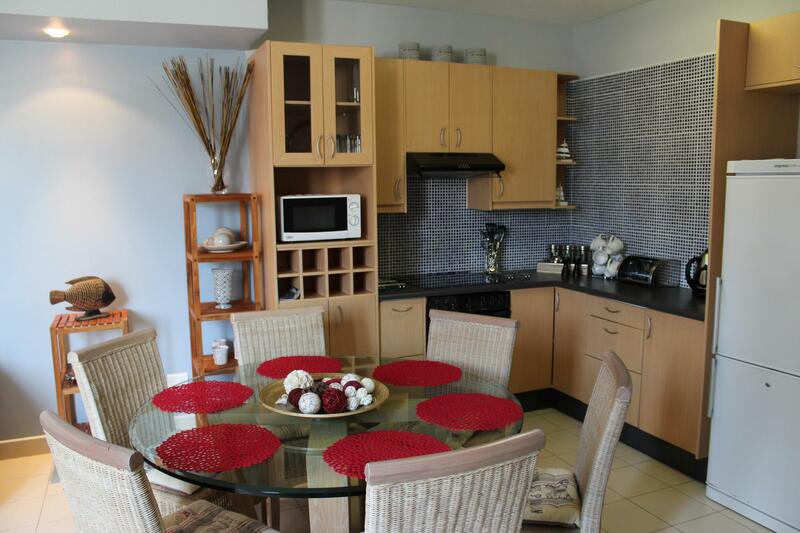 Features include a fully-equipped kitchen and DStv - 40-channel DStv Family bouquet, and guest linen is provided. 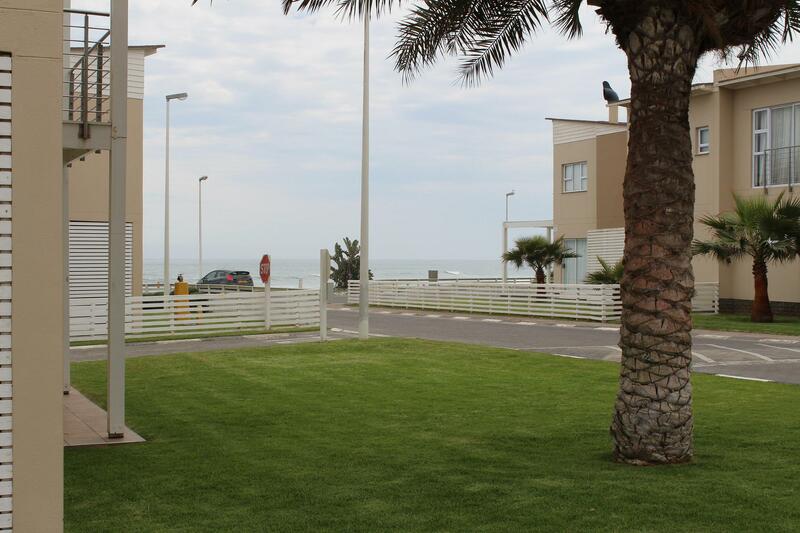 WiFi Internet access and a Mobile Braai is available for Guets. 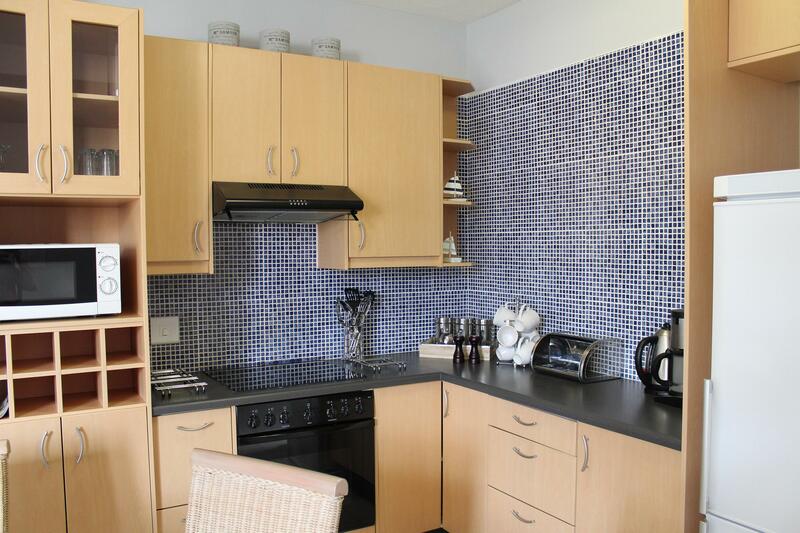 The unit is serviced pre-arrival, and cleaning services during your stay can be arranged as an optional extra if required. 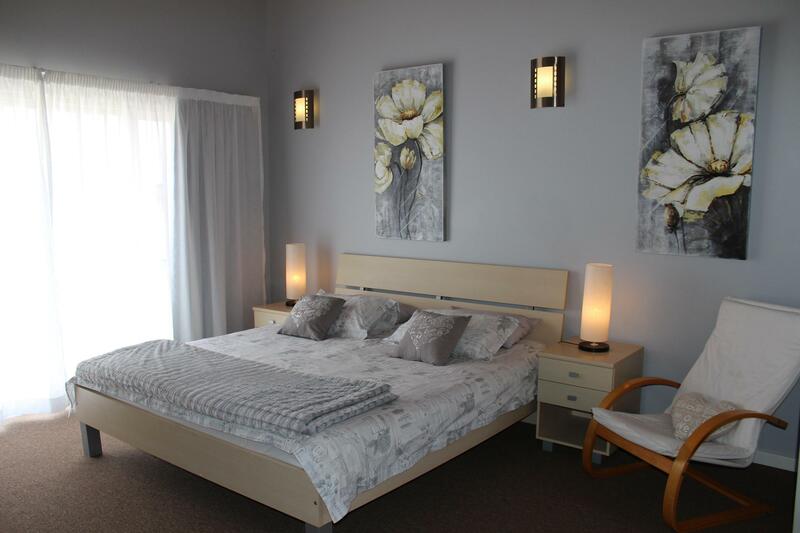 This Unit has 2 en-suite bedrooms with their own decks. 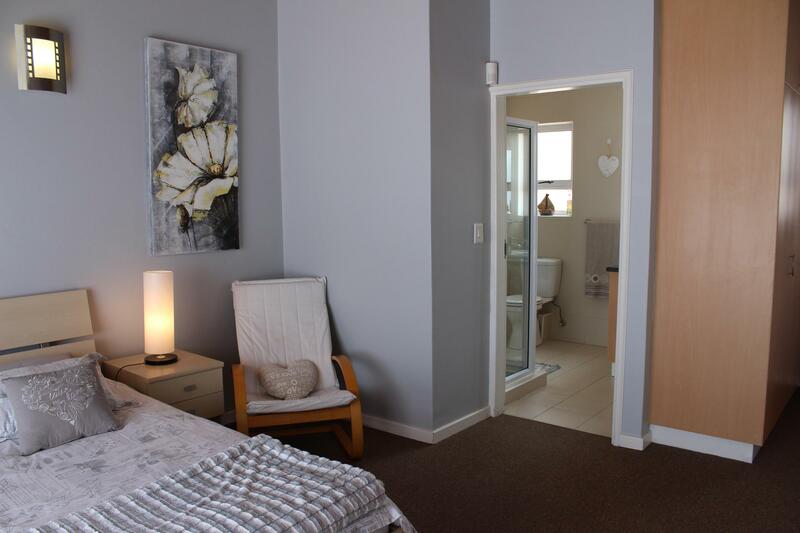 Main Bedroom has a en-suite bathroom with toilet, shower, Private deck and DSTV. 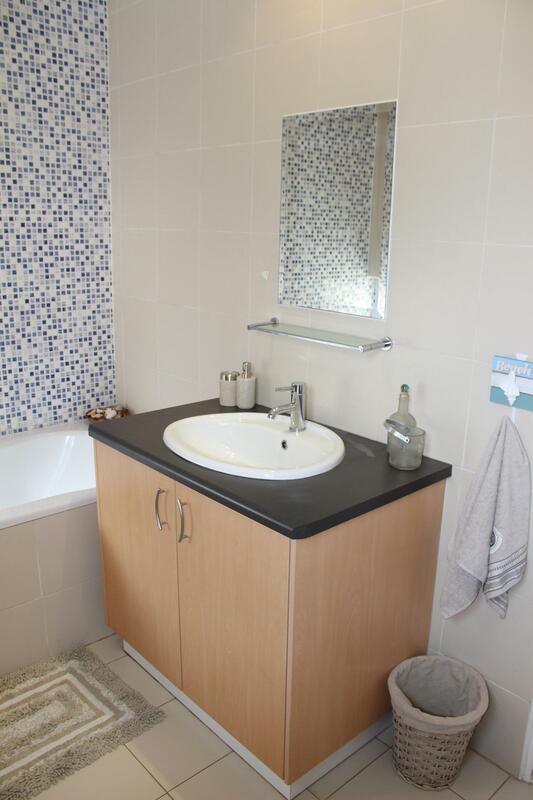 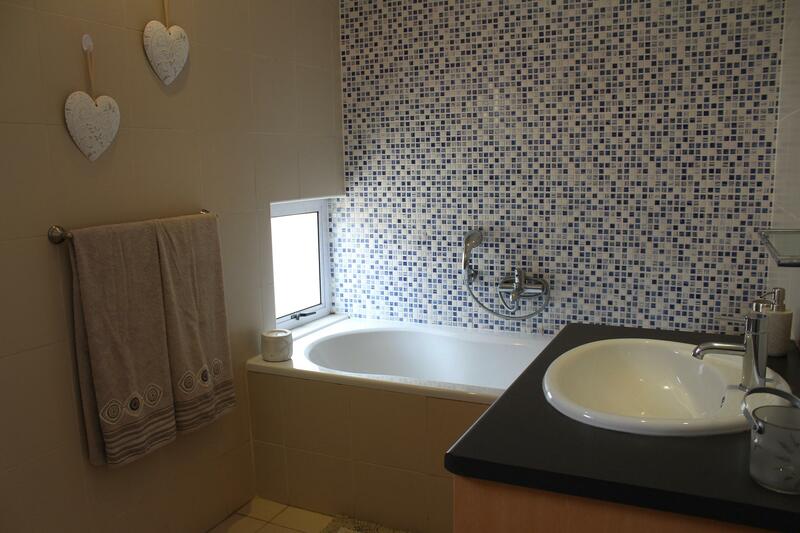 The 2nd Bedroom has a en-suite bathroom with a Bath, Toilet and Private deck. 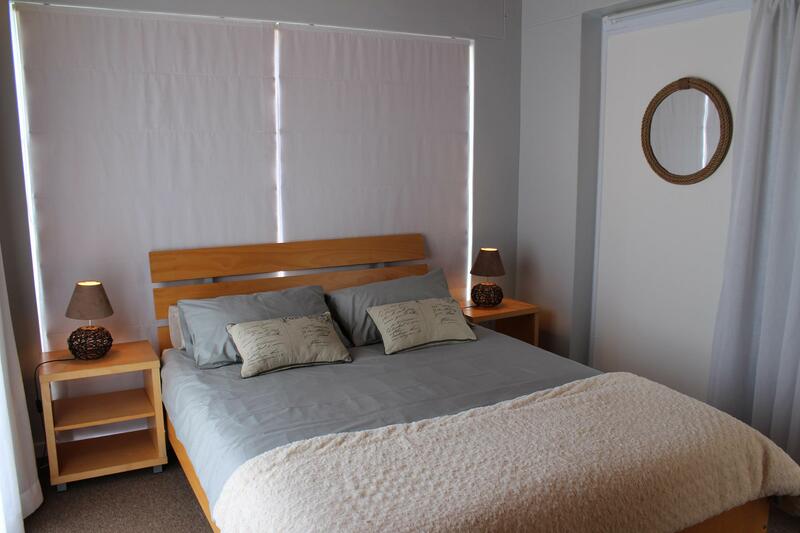 There is also a Sleepercouch available for a 5th Guest downstairs.